This lovely creature is Thimble Nimble Feet, a Woodland Fairy, from the Rocky Mountains. 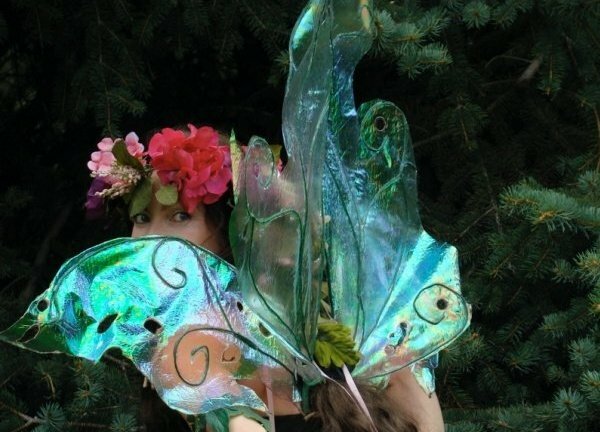 Thimble and I met one day and knew she was a special fairy. You see, Thimble is as tall as a human adult! The girls and I knew when we saw her she must be a kind of dignitary for the fairies. A way to remind children and adults not to forget the magic we carry within ourselves. Thimble is also a writer! 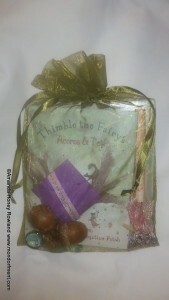 She has created an amazing book called “Thimble the Fairy’s Acorns & Tea”. Sebastian Patch, her good friend and local mouse, has drawn all these beautiful illustrations that make fairy words come to life. The other day we were leaving to pick up our raw milk when we noticed Mr. Raven had delivered a package! A package from Thimble! She had sent to us an autographed copy of her new book, Acorns & Tea. Oh, she also has more stories and they’re being illustrated by Sebastian too! I’ve recommend cucumber in stream water to soothe his poor paws from all the painting he does. As we opened it further we discovered acorns to plant, fairy dust, some frozen dew, a smooth pebble from her fairy stream and some fairy birdseed for the window sill! But, she sent one more gift! A cd of HER! It’s amazing and magical to hear her play her fairy flute! As you listen you can catch glimpse’s of your local fairies coming to check it out. A few times the girls went running off after a fairy all excited, forgetting in their exuberance how shy and delicate the fairies are. I think they’re starting to realize they have to listen to Thimble and me and be calm and still as they read aloud. The poems are beautiful and simple. Perfect to read any time to your little ones. I have read it many times to the girls. The nice thing about having children in multiple ages is how they can read to the younger ones. Rhea is ALWAYS reading ‘Acorns & Tea’ to Sunshine which I am grateful for as it allows me to get some cleaning and work done! 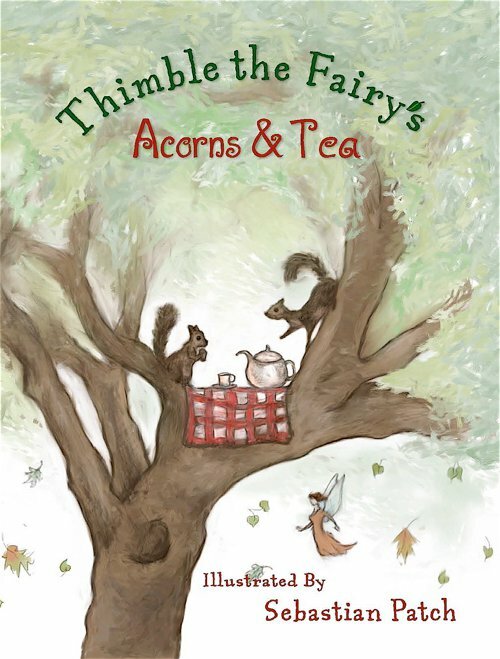 I highly recommend you order a copy of ‘Acorns & Tea’ by Thimble the Fairy and be sure to look for more of Thimble’s poems that give us a glimpse of the fairy’s world. By the way, Thimble said she’d be happy to offer a cd just like the one she sent Rhea and Sunshine when you purchase a copy of ‘Acorns & Tea.’ Just be sure to tell her Honey at Mondorfment sent you! You can see a trailer of ‘Acorns & Tea’ by clicking here! A video of Thimble’s New Book Acorns and Tea! Oh my! How darling!!! I think I need to get that. We are a little fairy obsessed around here! I always love fairies!! I will posted the blank version of the card real soon 🙂 thanks! Hey, I love your new header. It’s a perfect graphic for your homeschooling style! Oh, Thimble is really magical fairy!!!!!!! I wonder what we have to do to get package like this? I guess it was some kind of special delivery, right?